Our glass kitchen splashbacks are perfect for Wandsworth homeowners looking to liven up their kitchens with a pop of colour. 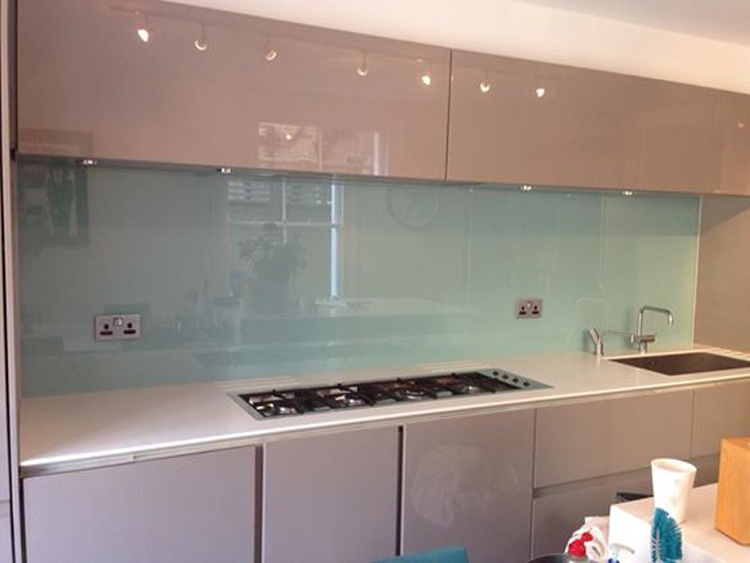 Southern Toughening Glazing Ltd creates kitchen splashbacks using crystal clear low-iron glass. This means that our Wandsworth customers can be assured of an exact colour match. Our glass kitchen splashbacks are back painted to the specific colour that you choose using a special type of glass paint that shines through. So which colour will you choose for the kitchen splashbacks in your Wandsworth kitchen? 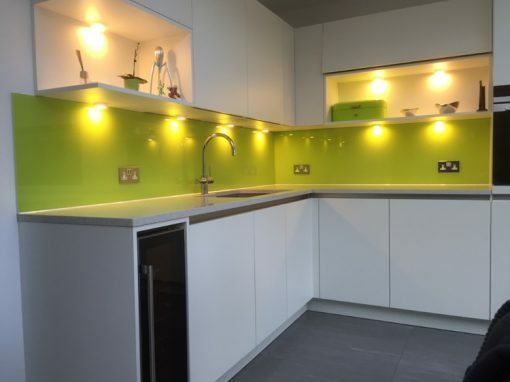 Kitchen splashbacks can be used to create a stunning focal point in your kitchen with the use of vibrant colours such as hot pink, lime green, warm orange or bright red. Alternatively you might choose a more neutral colour for your glass kitchen splashbacks such as a light aqua, a dark grey or cappuccino. If you are after an even more radiant effect in your kitchen splashbacks you might consider adding a glitter finish to the chosen paint or illuminating the splashback from above or behind. 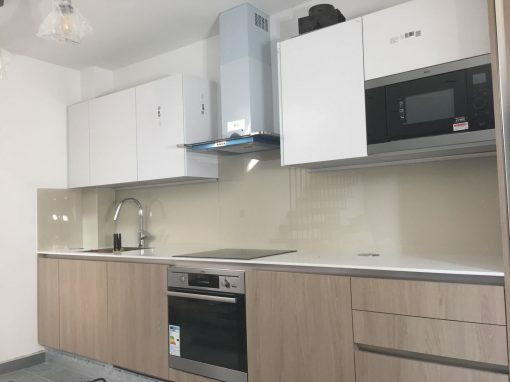 Kitchen splashbacks can be limited to the area behind the cooker and complemented by accessories in the same colour such blinds, lightshades or kitchen stools. 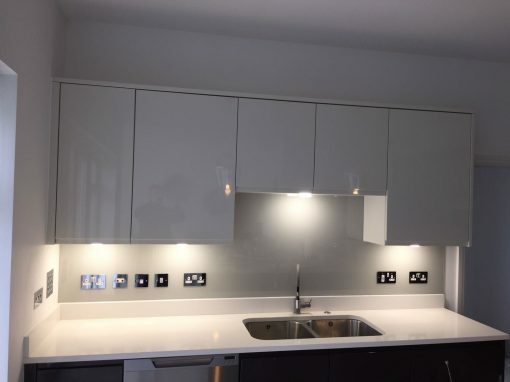 Alternatively you can extend the splashback along one or multiple walls to incorporate all the area between the work surface and the cabinets. 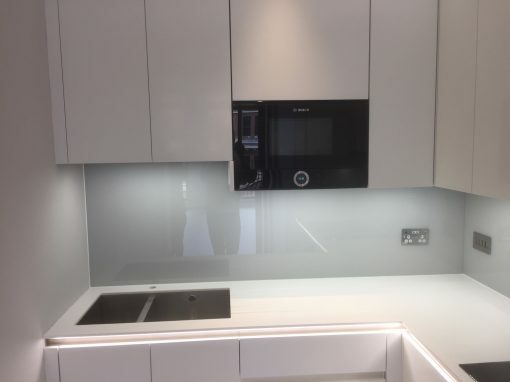 Whatever colour, shape or size of kitchen splashbacks you choose for your Wandsworth home Southern Toughening Glazing Ltd can meet your requirements.